Possibility to spend the night at Beijing airport (PEK), if open 24 hours. Services available, places to rest (free resting zones), or look for the list of nearby hotels and vip lounges..
Beijing airport is a huge place, with a large amount of passengers throughout the day, and even at night. Therefore, have earplugs or headphones ready. In addition, the air conditioning is usually strong, so pack warm clothes. Where to rest: Terminal 3 is the most comfortable place, as it has plenty of seating, although mostly made of wood. The ones that are padded have armrests. Eateries on the mezzanine floor, in particular, have very comfortable benches. 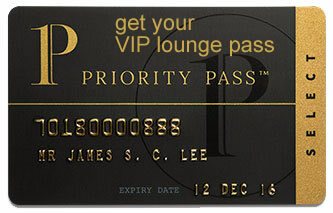 Another option (by paying or through different memberships or credit cards providing the service) is to use one of the VIP lounges, which in some cases are open 24 hours a day. SEE VIP LOUNGES For a better rest, there are private cabins in terminals 2 and 3, in addition to several hotels in the vicinity. Baggage: Several offices around the airport handle the left luggage service, so you will be able to forget about your bags until check-in hours. Eating and drinking: There are numerous eateries inside the three terminals that remain open during the night. Restrooms: Showers available inside the VIP lounges. Other services available around the clock: ATMs, currency exchange bureaus, children's play areas, baby care rooms. Inside terminals 2 and 3 there are private cabins from GoSleep, which can be used for up to 1 hour. You can find numerous accommodations in the vicinity of the airport. Some of them have shuttle services for their guests. Hilton Beijing Capital Airport (Tel +86 106 458 8888), Capital Airport Hotel (Tel +86 106 457 7788), Days Hotel Beijing New Exhibition Center (Tel +86 106 457 6666), Ibis Beijing Capital Airport (Tel +86 106 456 7799), Cordis Beijing Capital Airport (Tel +86 106 457 5555), Li Hao Hotel (Tel +86 106 456 9898), Huiqiang Hotel (Tel +86 106 456 1511), Beijing Sky House Business Hotel (Tel +86 106 459 0990), Bihai Tiangang Hotel (Tel +86 106 459 0333).